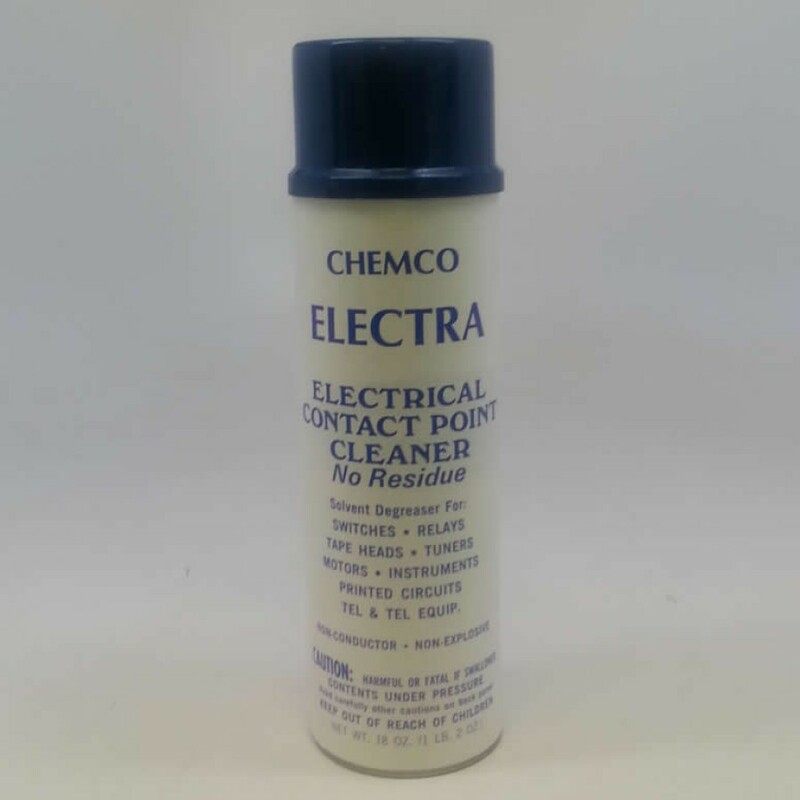 Contact Cleaner - Electra - Electrician's Heavy Duty Non-Flammable Electrical Contact Cleaner and Degreaser. 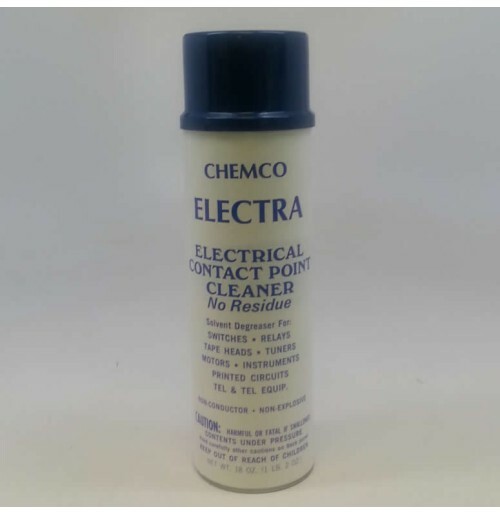 Its High Density + Low Surface Tension + Controlled Solvent Power makes Electrical Contact Point Cleaner ideal for quickly removing oil, grease, dirt and foreign material from precision mechanical & electrical instruments and controls with little or no effect on the article itself. Anti-static and compatible with electrical insulation, elastomers, metals. It cleans instantly - leaves no residue! High di-electric qualities allows safe cleaning of electrical-electronic equipment while operation - saving time and money on shut-downs. Complex electrical-electronic and fabricated equipment may be easily cleaned without disassembling. After cleaning metals, lubricate & protect with Metal Protector. May be harmful to some plastics. Pretest on small area.